How accounts payable (AP) transforms its operations performance into best-in-class depends on the strategies put in place throughout the process. 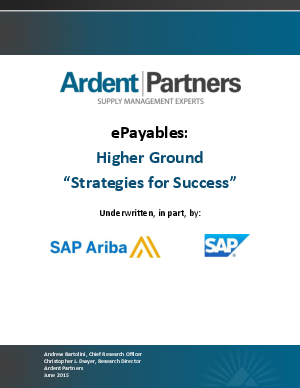 Choosing those strategies may seem like a daunting task, but Ardent Partners has done the heavy lifting. They’ve compiled these strategies in chapter four of their recent report.